The Maheno saw service at Gallipoli in 1915 & took wounded to Alexandria a number of times. I am seeking information about the launches that were used to ferry the wounded from the beaches and tow the whalers when extra capacity was required. The vessel on the slipway owned by me was built at Lyttelton in 1904 & is in very sound condition [32mm kauri planking] I have been associated with her  since 1979 & several times have been told the story that she was used at Gallipoli as a tender on the Hospital Ship 'Maheno' by old timers who are now all deceased. In 1979 she was given a new deck and the wheelhouse & cabin top you can see. But when the old deck was stripped off there was another deck with two open cockpits one forward and one aft underneath it. 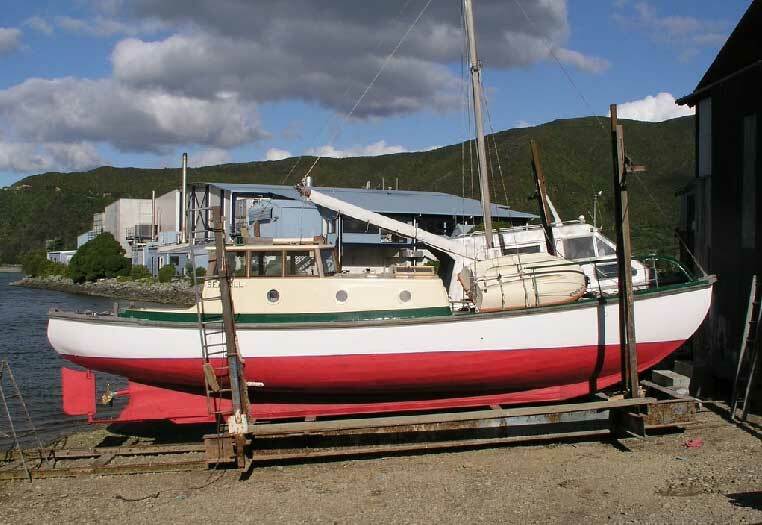 She had spent many years as a fishing boat at Akaroa and also towed shingle barges in 1936 for constructing concrete river protection in the Waimakariri River near Christchurch. Prior to that she had belonged to the Anderson family of Anderson Engineering who had built her to test the performance of the diesel engines they were developing in the early 1900's. In the mid 1990's I was approached by an elderly gent who had recognised her unmistakable shape and told me she was an historic vessel and did I know about her history. At the time I did not so I asked a question that had puzzled me as to why she had two very large lifting shackles one in the bow and one in the stern down below through her very heavy keelson. 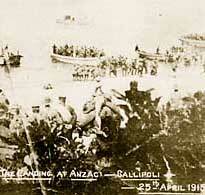 He said 'I can tell you why, she went to Gallipoli on the Maheno'. I subsequenly asked several old identities in Lyttelton who confirmed the story. But what I am seeking are photographs of her on board the Maheno or in service at Gallipoli. The hull has a very distinctive shape and does not look at all like your typical whaler of that time.In the attatchment you will notice a steel railway line with lead infill bolted underneath the keel [for ballast] She did not have that in 1915 and would only have had a small dodger midships not a cabin. Currently she is in the Havelock Marina and I last ran the motor on Saturday. Thank you for your interesting mail about Seagull. 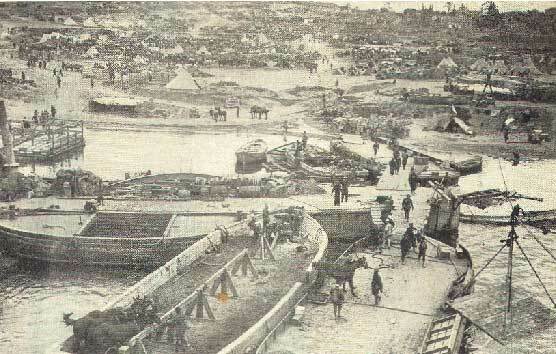 I do not have any detail about the launches used for towing at Gallipoli. Last night at a meeting of the Naval Historical Society of Australia in Melbourne, the guest speaker was a Turk living in Melbourne, he talked about finding the WW1 Australian Submarine AE2, in the sea of Marmara, he has been part of a combined Australian/Turkish group deciding what to do about the wreck, raise and preserve at a cost of some $200 Million, or preserve and leave her as she lays on the bottom at about 70 metres. The latter won the day. He has recently published a book Gallipoli, looked at from the Turkish viewpoint, I showed him a picture of Seagull, but he had no record or knowledge of the launches used as towing craft at Gallipoli. V beach from River Clyde. On AHOY in the painting of Maheno, the boats on board are not large enough to make out if one might be your boat. Sorry I am unable to assist you. When these trans-Tasman passenger vessels were fitting out as hospital ships the Union Company asked public spirited private citizens to offer suitable modern [for the times] vessels that could perform as powered tenders[launches]. The Anderson family were owners of the largest heavy engineering firm in New Zealand of the times and had constructed many of the large steel bridges & viaducts throughout NZ.They offered 'Seagull' which had a different name 'Holiday' at that time. Four launches went from Lyttelton, one of which was definitely named 'Rona'. I know of one other which is still afloat. I wish I had pursued these matters while the 'old timers' were still alive, I am sure that somewhere out there there will be photos of these little vessels performing their tasks.